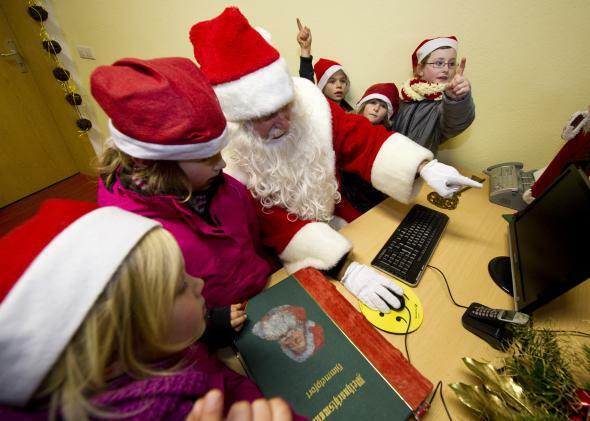 Santa uses online data to help kids make their wish lists. It’s that time of year again—you’re getting ready to write your letter to me. Based on a careful evaluation of your search and browsing histories as well as other elements of your online footprint, the elves have determined which presents you will most likely want for Christmas this year. (See List A below.) I am sending you this list because our goal here at the North Pole is to anticipate your wishes before you ever have to make them known (or even know them yourself, sometimes). Other children who requested these items (or whose wishes were similarly determined) also requested several others—please see List B below. Should we add some of those to List A, which was fully personalized for you? Incidentally, your friends Sam, Tony, and Bill are all planning to request the mini indoor dronecopter. Since the four of you play together quite often(judging from Facebook photos), you might want to add one of those to your list, too! Otherwise you would have to ask to share theirs, and you know how they can be about that. Next year, you won’t receive an email from me—because by then we should have launched the fantastic Santa App for multiple mobile platforms. It will include features such as wish-list sharing, cookies-for-Santa recipes, opportunities for you to supply your exact address so that Santa will definitely find his way, and more. Keep your eyes peeled for the beta launch sometime in June. In a few years, who knows? Maybe we’ll even have a self-guided sleigh! I should also add that any information about you included in this email was collected, of course, in full compliance with the recently updated Children’s Online Privacy Protection Act. I look forward to getting to know you better in the years to come—especially once you turn 13. Although by then you might not believe in me anymore … or the laws may have changed.